We are a reputed mobile application development company in India that deliver apps people will surely appreciate and love. Our developers have earned great reputation in the global market for offering top-class mobile app development, in terms of quality as well as cost. The demand for mobile apps is increasing in all business sectors. We will help you design and develop your excellent mobile application development services for Android, iPhone and iPad. Our dedicated team of developers possesses necessary skills and knowledge to help accomplish the demands of individuals as well as their business needs. By using the latest tools and technology, our mobile apps developers create customized applications for consumer and businesses. By possessing necessary skills in mobile app designing arena, we assure to cater the best quality solution that will definitely improve the performance of device. We develop all your applications according to the requirements in the most accurate manner. We test the developed apps and ensure complete solution within the specified time period. With the introduction of iOS technological developments, we create engaging and stylish iPhone applications that will make your business profitable and performance oriented. 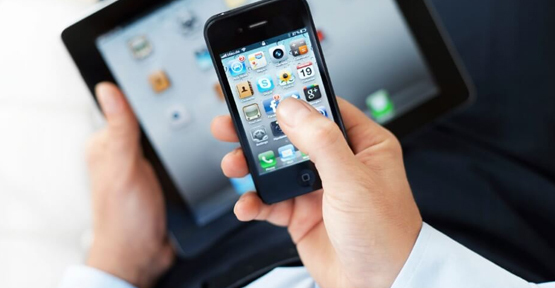 Our iPhone developers design and develop user-friendly mobile applications. Our mobile application developers deliver top quality service to make you iPad apps function properly. We will execute the ideas related to iPad apps successfully and make them bug-free. Whether it is related to health care, restaurants, education sector, social media or sports, we design and develop all kinds of Android Apps for tablets and smartphones. Our Android developers are highly passionate in creating top quality development of mobile applications for you. Why you will believe us? Our app and game developers have created numerous apps and served them within the specified time. The quality of developed apps is defined by the number of times it has been downloaded. Our team of dedicated and enthusiastic developers has been positioned in a way so that they deal with our clientele globally. We provide satisfactory solution and ensure great quality with quick delivery. We deliver greater customer satisfaction by organizing project management to deliver the best possible result on time. Induji Technologies is amongst the top mobile apps development company in India, US and UK. We have helped startups, small businesses and enterprises to design, develop and launch custom based mobile apps. We use the latest tools and frameworks for developing custom mobile apps for iPhone, Android, iPad and Windows. Starting from mobile strategies to mobile app design and development and testing, we stick to proven global standards and methodology for delivering top ranking mobile apps. We work with a diverse range of brands, be it startups, individuals and organizations to turn great ideas into great apps. Join us over a cup of cappuccino to discuss about your business requirements.